"Next time you think of beautiful things, don't forget to think about yourself!" Papers: Bazzill cardstock. 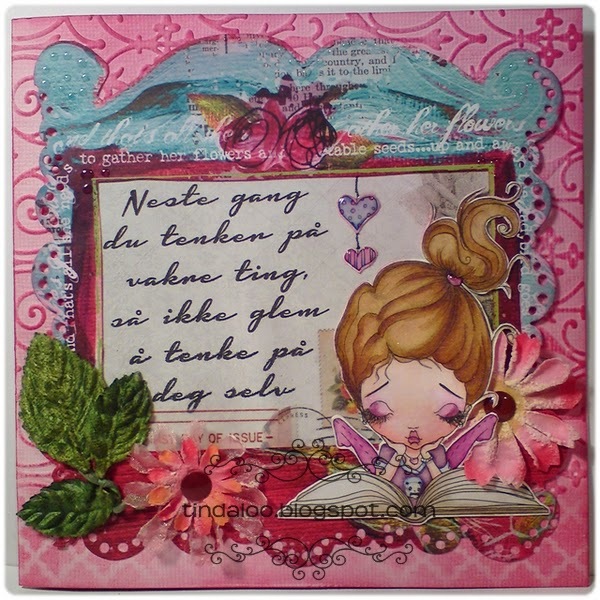 Prima Marketing Inc. - Flirty little secret coll. 'Coy', and (inside) Prima Journaling notepad bloc-notes. Embellishments/Tools: Prima flowers 'Belle fleur rouge 523695', and leaves 'Crown Jewels coll. Elizabeth'. Magnolia Doohickey's Die 'Tilda Lace'. 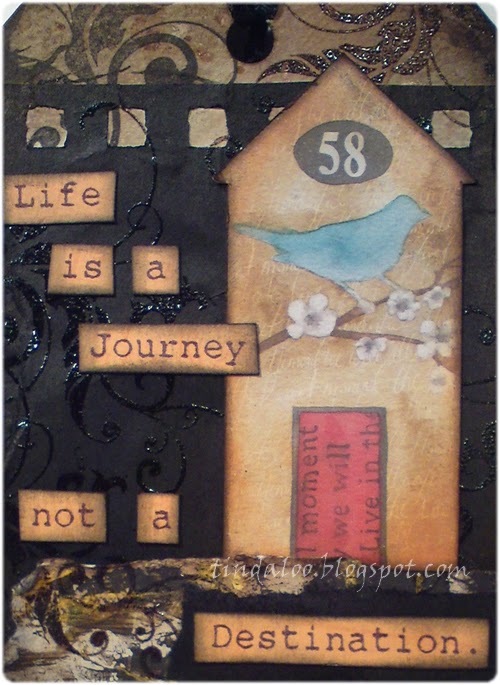 Memory Box Stencil 'Tessatina 88516'. Anna Griffin 5x7 Embossing Folder and Border 'Foundry'. Nille Memories epoxy stickers. MT kamoi washi tape 'ex1P stamp', and 'number pink'. Poshi washi tape 'love all around'. EK Success® Whale Of A Punch 'Large Circle 1.75'. Techniques: I always use my Scor-Pal to score n fold my cards. I prefer Canson Montvale aquarelle paper (200 g/m coldpressed). My distress tools from Ranger Ink is always in use! ~ Tim Holtz® Mini Ink Round Blending Tool & the Inkssentials Ink Blending Tool and Foams. I used misc. Luminarte Twinkling H2o's Shimmering Watercolors, and Tim Holtz Distress Ink pads & markers to watercolor and distress image and papers. Rangers Glossy Accents added to details ~ shiny! Helt fantastisk sommervær iår! Oppe i 32°C! Har jo hatt noen torden dager også ~ og duallverden for et regnskyll, trodde det var syndefloden som stod for døren... om jeg hadde trodd på sånt da ;) Men i morgen blir det visst sol og fint vær igjen ~ og da blir det kansje tur på Vikinge festivalen ~ Lofotr museumet på Borg iløpet av helga? I know that I've been absent when I get to my blog and have to dust away imaginary dust-bunnies! ;) The time has just flown by, summers gone soon and now it's almost fall..
Well, at least it's livable now! 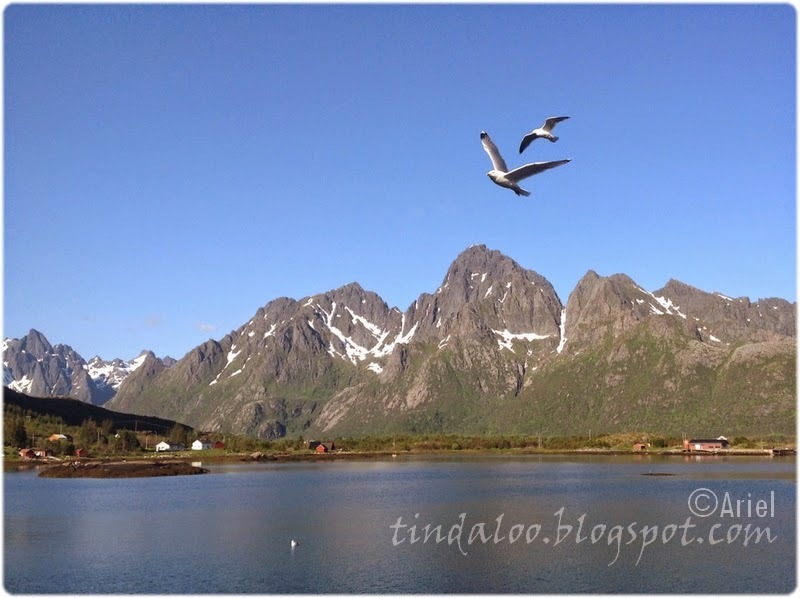 There's been times with record tropical heat, up to 32°C here on Hammerstad Camping ~ fantastic for northern Norway, just check out the pretty postcard photo my 10 year old niece took with her iPad up above! Have had som days now with thunder and lighting, and such heavy rainfall.. thought we might need Noahs ark.. ;) But tomorrows forecast is sunny again, so we might get to go to the Viking festival at Lofotr viking museum this weekend! ● Time 4 Scrap #44. ~ Animals! [August 15th.] > broken? Me and my mum are different in many ways, I'm much more of the brown/dark fan, as for her, she tends to like the white vintage romance style. I read Stephen King & like my solitude.. She reads the Bible & love the company of others.. 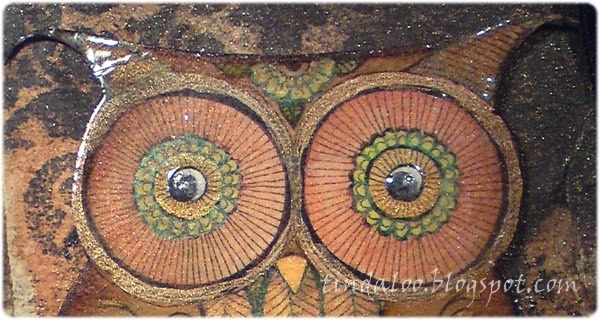 But we love alot of the same things too ~ our family, vintage, owls & cats, sci-fi, art & crafts, painting.. quotes! 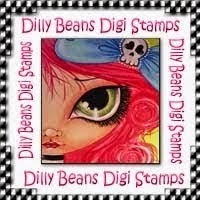 Stamps/Images: Dilly Beans digital stamp '539-Owl'. Lazar StudioWERX Inc rubberstamp 'Funky Holidays' (swirl). Createwings Designs digital element house from 'Creation C23 Bundle - This Moment'. Quote is from Ralph Waldo Emerson ***INPUT when I get home***. Papers: Bazzill cardstock. Misc scraps & papers. Tim Holtz Sizzix Big Shot Die 'Tags And Bookplates'. Prima flower. Reuse of Old button and some ribbons from shirts/blouses. Added Glossy accents to some details, some washi tape and Panduro waxed thread. Some background paper is done with mixed media ~ acrylic brown, black n gold paints + bubblewrap on my Gelli Arts 6x6 Gel Printing Plate. 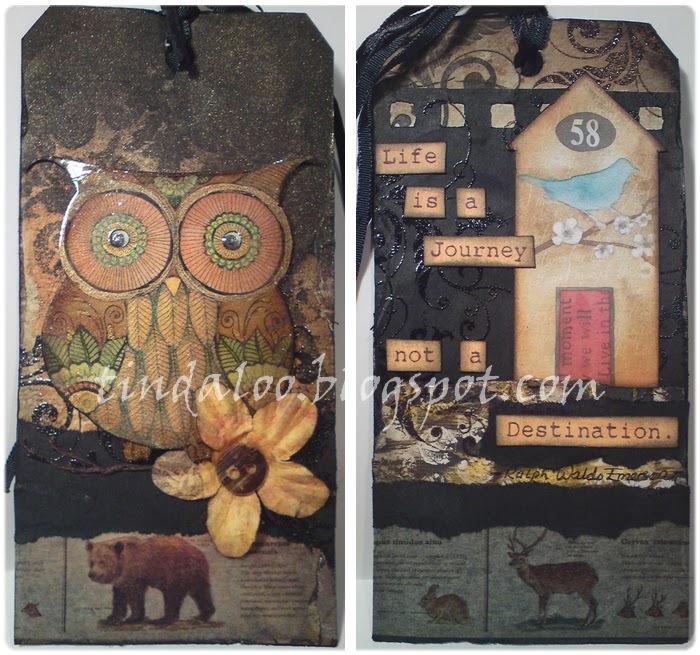 And on the top of the tag I've used Ranger Ink Dylusions 'Black Marble' spray ink & Tattered Angels Glimmermist 'coffee shop' and a stencil 'Memory Box Stencil - Flourish 88519'.